Soft, chewy filling and a delicious, crunchy crust – this chocolate brownie tart with brown butter crust is bursting with chocolate flavour and will make a great addition to your holiday table. This chocolate brownie tart is the child of two amazing recipes. The filling, I adapted from Lee Ann Flemming’s take on Minny’s Chocolate Pie (yes, the one from the movie with the secret ingredient!) but instead of a ready-made crust, I used David Lebovitz’s take on Paule Caillat’s French tart dough. I’ve been experimenting with that dough for a while, mostly on lemony things, but haven’t had much success. I took a break, switched to chocolate, and I’m incredibly happy with the result! The tart is chocolatey, soft and chewy. It’s not your typical ganache or fudge tart filling; it’s closer to a brownie. The crust, on the other hand, is butter browned in the oven, moulded onto the pan and baked to crispy perfection. 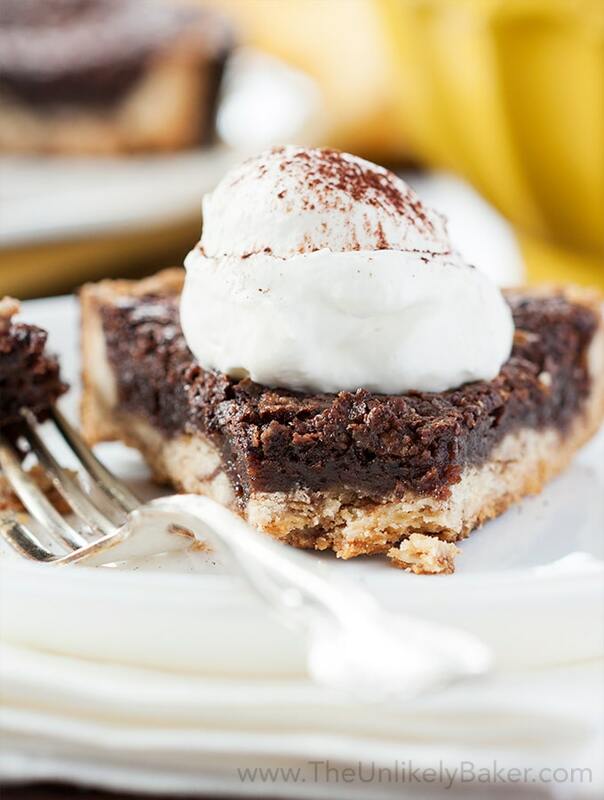 Together, they come together as this amazing chocolate brownie tart that’s sure to please the chocolate lovers in your life this holiday season. ), I’ve always wondered about that pie (minus the you-know-what of course).
? Or my treacle tart from Harry Potter? There are many recipes out there but they all seem to originate from Lee Ann Flemming’s version, which I used here. The only change I did was add espresso to make it even more chocolatey. And, well, I made a tart instead of a pie. Using a different dough. For that I turned to (THE) David Lebovitz. I have been working on his lemon tart recipe for what seems like ages but I just could not get it right. I’m not giving up on that but in the meantime, I used the tart dough recipe here. The dough is essentially butter that you brown in the oven. The fact that you do it in the oven really appealed to me because I haven’t been successful in browning butter on the stove either. But enough of my kitchen fiascos. The crust is glorious. It’s easier to manage than most tart and pie crusts and it tastes amazing. I had to double the ingredients to make enough for this 9-inch tart. 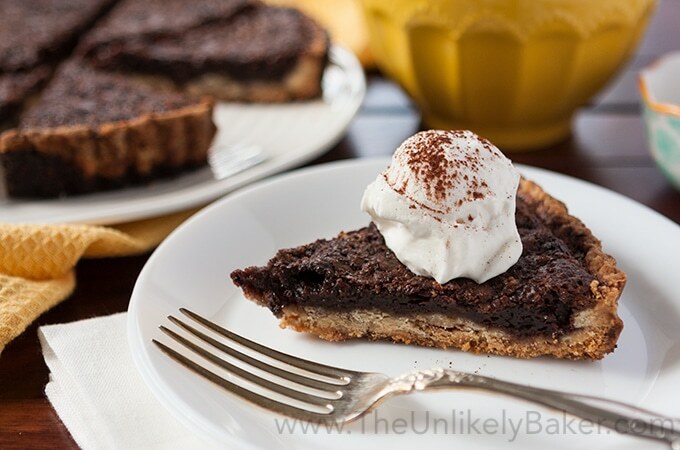 Together, they make this amazing chocolate brownie tart with browned butter crust that the whole town will absolutely talk about! It’s rich, decadent, perfect for the holidays. Top it with a dollop of homemade whipped cream, dust with cocoa powder and you have a dessert fit for any celebration. 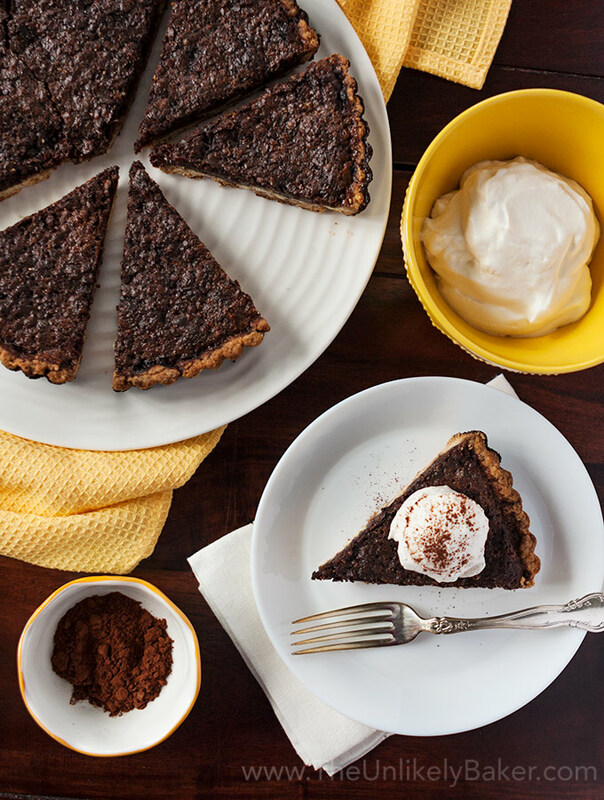 Soft, chewy filling and a delicious, crunchy crust - this chocolate brownie tart with brown butter crust is a dessert fit for any celebration. In a large oven-proof bowl, combine all ingredients except the flour. Place the bowl in the oven for 15-20 minutes or until the butter starts bubbling and starts turning brown around the edges. Remove from the oven and carefully add in the flour (watch out for butter fireworks!). Stir until it starts pulling away from the sides of the bowl and sticks together in a ball. Transfer your dough to a 9-inch tart pan with removable bottom and allow to cool slightly or until it is cool enough for you to handle (it's pretty hot!). Once it cools, start to evenly spread the dough on the bottom and up the sides of your pan (see notes). Prick the bottom and sides of your dough with a fork and bake for 12-15 minutes or until it turns a light golden brown (see notes). Remove from oven and allow the crust to cool while you work on your filling. Lower the oven temperature to 350F. In a large bowl, whisk all ingredients until smooth and thoroughly incorporated. Pour the batter into your prepared crust and bake for 45-60 minutes or until the filling starts to set around edges but still a little wobbly in the centre (see notes). Transfer to a rack to cool completely before removing from the pan. Serve with whipped cream and a dusting of cocoa powder. The original recipe suggests reserving a small amount of dough for patching up any cracks after the tart shell is cooked. I've found that I never need to do this. If making the crust for the first time, you can do it for good measure. If you think the sides of your crust are getting too brown too fast, you can loosely cover it with aluminum foil halfway as you wait for the middle portion to catch up. Do not over bake the tart; otherwise it will get very tough. Start checking for doneness at 45 minutes. Chocolate filling recipe adapted from Food & Wine. Crust recipe adapted from David Lebovitz. 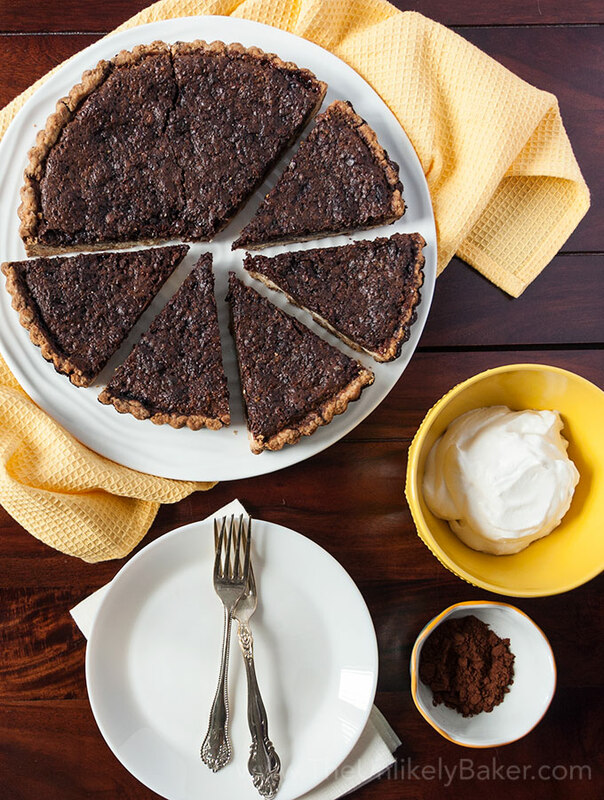 Did you make chocolate brownie tart with brown butter crust? What’s your favourite kind of tart? I’d love to hear from you in the comments section below. This looks delicous love the idea of a chocolate brownie as the filling. Definitely want to make this over the weekend. Nothing sounds better to me than a tart mixed with a brownie! Looks absolutely divine. Wow, reading this post is like watching an episode of that UK baking competition TV show – a guilty pleasure. I am sure this tart tastes out of this world, and I am not that big of a “chocoholic.” Lovely photos. That looks delicious I showed the hubby and guess what Im making for dessert tonight! Nice! Hope you guys like it! Oh this looks so very delicious! I am getting hungry right now. Thanks for sharing. I have literally died and gone to chocolate heaven, dont judge me but I wont be leaving. Those chocolate dishes look delicious. I know that my daughter would love all of them. But the tart with the chocolate looks awesome. I would love it and I will have to try making it with my daughter. You seriously can’t go wrong with a chocolate brownie tart! Just makes sure you’re the one making it! lol I remember gagging and laughing at the same time when she revealed her secret ingredient. Right?? Haha me too. Such a good movie. And a great book too! I have never made a tart or chocolate type pie. Sadly I’m currently close to the end of my cocoa powder so this recipe is on hold for a minute! This looks delicious! I’m always a bit hesitant to do tarts because the crust terrified me haha. Great recipe!!! I love me anything chocolate-y! Do you think instead of espresso, I could use greek coffee instead? I would love to make it! Absolutely! I haven’t tried but Greek coffee is marvelous and I think that would really enhance the chocolate flavour even more. Your photos are gorgeous. My mouth is watering just looking at this. Glad it helps a little…hope you feel better! This looks so delicious and pretty. We did something similar to this but i think this taste better. I will definitely try it soon! This recipe for your chocolate brownie tart looks incredible! I want to give this a try when I am feeling adventurous. Anything with homemade crusts scare me but it looks so YUMMY! I feel intimidated by crusts too which is why I’m super happy with this one…so much easier to handle than most. Hope you try it! Wow, this looks and sounds absolutely delicious! 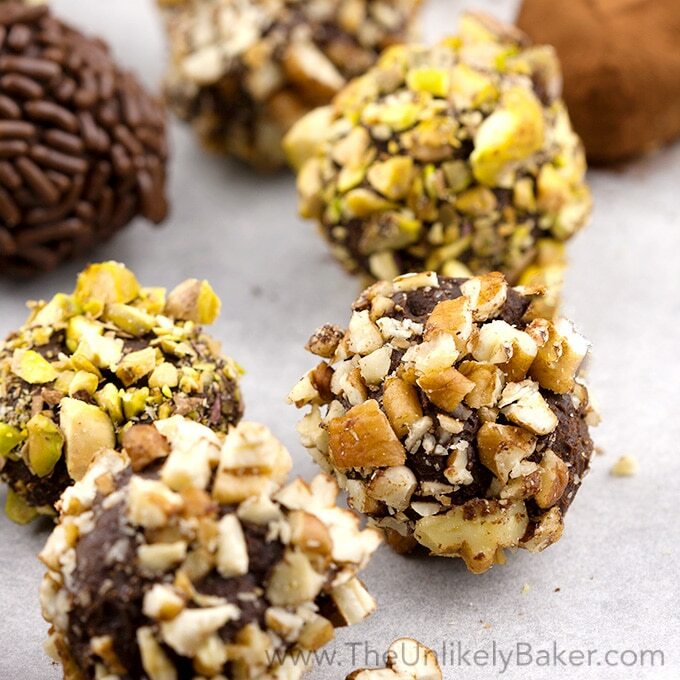 My husband and I (and our oldest son) have the biggest sweet tooth, we are going to have to try this soon. I love everything that has chocolate in it. It looks easy to make and I have all the ingredients at home. Such a yummy recipe!! Perfect for the holidays! Love the pics. Oh, my, this chocolate tart looks decadent! The brown butter crust sounds amazing too. Pinning this for later. This recipe speaks to me on so many levels: chocolate + brownies + pie! Absolute heaven. Your photos have me totally drooling. This tart might be the one thing that finally gets me into the kitchen! This looks like a delicious addition to any holiday table. I will definitely try it out. I am sure it will be as tasty as it looks decadent. What a lovely pie! So cool that the idea came from a movie. I’ve got to see that one and try this pie. I’m not even a fan of chocolate, but that looks so delicious! I’ll have to give it a try! Oh my goodness. I have been REALLY craving brownies the last few days and would LOVE this. It looks so delicious. I am going to have to try to make this! This was such a mistake. I really shouldn’t be looking at photos like this before lunch! Now I’m hungry! LOL I’m the same. I’m always on IG or Pinterest and I’m always hungry haha. Mmmmmm, you had me at chocolate. This looks like that perfect in between dessert when you can’t decide or agree on whether to make pie or brownies. Yum! This looks dee-licious. This chocolate brownie tart with brown butter is a perfect treat with coffee. I am going to try this recipe soon. Thanks for sharing! Oh My Goodness! This looks like some chocolatey goodness right here! 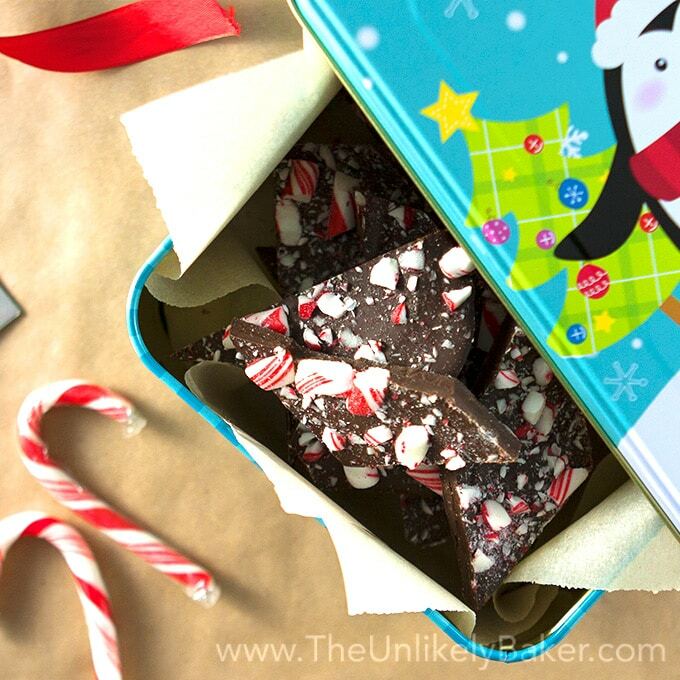 I am definitely going to try this recipe and not because it’s the holidays… because I love anything that has chocolate in it! My mouth is watering just looking at the pictures! Ohh if it was me, your ingredients would be over. Hehhe. But in all honesty, it looks delicious. Gosh my mouth got drooled after reading this. Chocolate brownie tart yes please! I’ll snack on this anytime of the day. Anything with Chocolate is for me! Oh my this recipe is absolutely delicious! Yum! Need to try this this holiday! The kids will love it at our church! oh nice!! I love chocolate brownies but have never had a chocolate brownie tart before!! That sounds delicious, and a butter crust too! What an amazing tart!!! 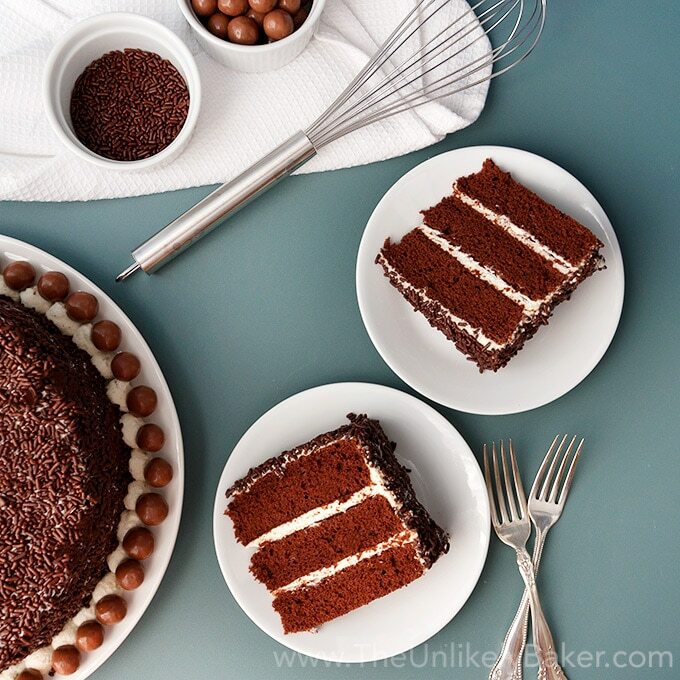 I love all the chocolate on this, I know it would be a hit at my family get togethers! This is such a creative idea. I love it because everyone in my family always loves the crispy sides/bottoms of traditional brownies anyway. With this, there’s a bit of that crisp on every bite! Definitely going to be veganizing this and giving it a shot. 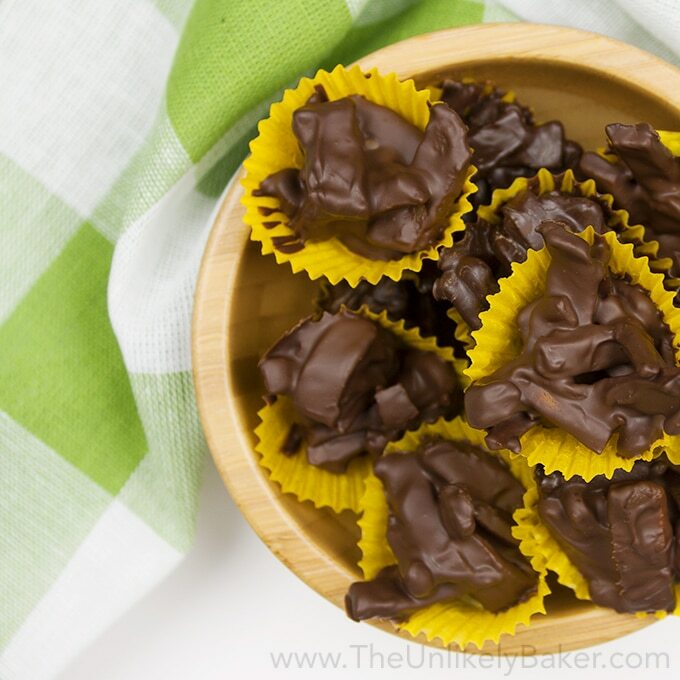 What a delicious idea to bring for holiday gatherings. 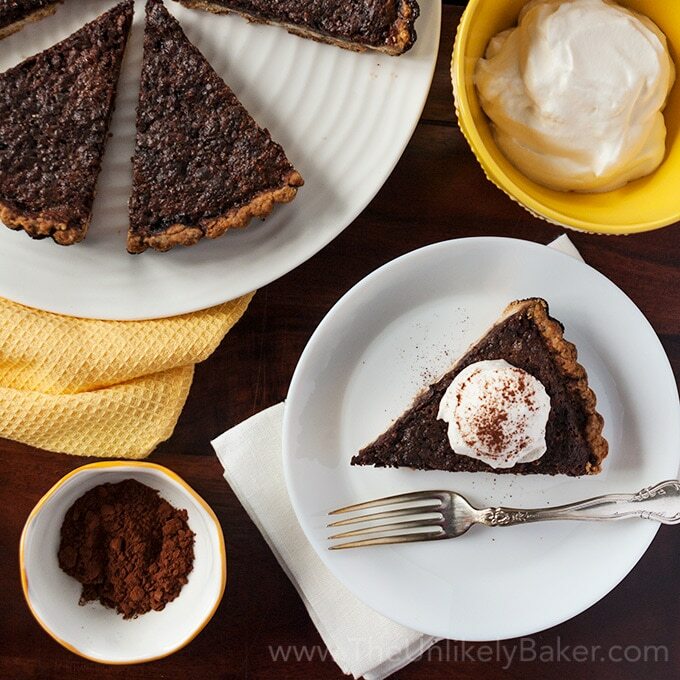 I am thinking that this chocolate brownie tart with brown butter crust will be delicious! Anything with a brown butter crust sounds insanely good! I love a good tart and a good brownie! I am sure that you will be able to perfect his lemon tart soon as you are a great baker but for now this chocolate brownie tart looks divine! I love the sound of the brown butter crust haha! Oh my goodness does this sound amazing. I have never thought to use brownie filling. I have to try this one soon!